High Capacity: This Baseus battery case was built in a 3650mA capactiy rechargeable Li-polymer battery effectively, offers extra battery life, Keep your phone in power at any time.Hidden Magnetic Forc: Built-in magnets, applied to any desktop and magnetic suction stents vehicle-mounted,never worry how to fixed your phone when you need to use mobile GPS navigation, driving easily.Ultra Slim and LightWeight: The Baseus battery case with accurate size for iPhone 6 Plus, it not only as a power bank but also is a protective case.Strong Protection: whole package around the edge of the use of flexible soft material, the impact of the mobile phone when the impact of falling, safe guard phone and clip battery. Impact Protection: A drop-tested elestic rubber shell with raised edges protects your phone against bumps and drops, while its deluxe matte finish ensures secure grip.Unique Design: all-inclusive without chin Get rid of long chin design, bid farewell to heavy grip, easy to masterShow battery status: Press the power button on the back, the LEDs will be lighten immediately, show the power status Multi-Function: at any time to charge simultaneously protect the phone from damage, take two functions, no more worried The battery Of the phone failure. Fashionable and pratical: with a ultra slim design, easy to put in pocket. Is this available for iphone 6s ?? 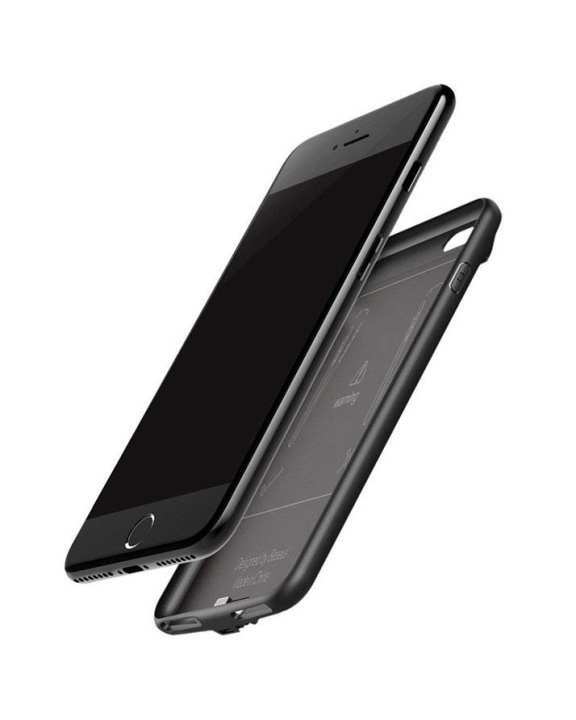 It individually charges the iphone 6 plus if we have put over iphone in this case?